Most engineers, designers, and automation integrators are looking for ways to automate production lines, especially for large parts. Automation increases production rates to help meet tight and demanding deadlines from customers. It also provides them with the improved quality, consistency and production line safety that management desires. For aerospace, automotive, transportation (buses, trains, trucks), etc., manufacturers---automating drilling and fastening applications have been very successful. Typically, a larger robot is programed to drill and/or fasten parts. The robot is then integrated with a linear robot transfer unit to move the robot down the large part while preforming the drilling and fastening task. By moving the robot and not the part, it provides the manufacturer with the ability to have accurate holes and install fasteners with very little human intervention. Having the robot perform repetitive task also reduces long-term staff health issues, such as carpal tunnel and back injuries. The advantage of using an automated welding robot is that it furnishes the manufacturer with consistent and high quality MIG and TIG welds. Many production lines now incorporate an automated multi-axis positioner that moves the part for the stationary welder as it improves assess to several sides of the part. Therefore, additional processes can be performed without having to move the part. 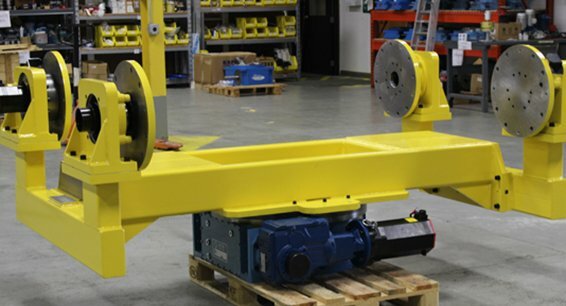 This integration of the robot and a positioner reduces scrap, provides access to hard to reach places, produces more parts per hour, and reduces cost. All because the robotic welder is programmed to use the exact amount of welding metal. Many manufacturers are automating assembly and/or multiple operations. Generally, for these applications, the manufacturer is moving the part down the production line. The part will have one operation or assembly operation performed and then it is moved down the line to have additional operations completed. 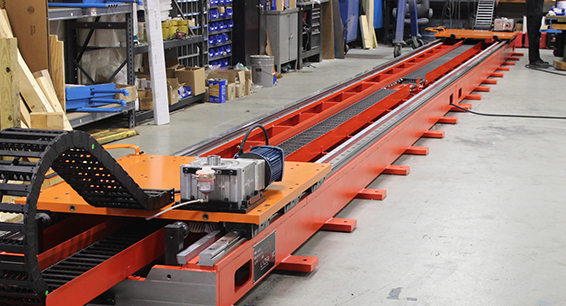 Recently, an automotive manufacturer installed a lift and shift unit to the production line. The lift and shift brings the part to one section of the assembly line. 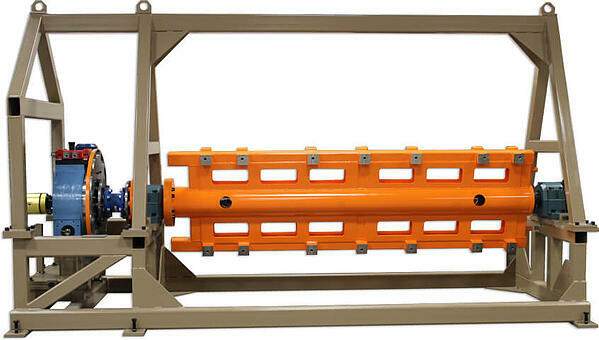 It lowers the part to meet the right level for the line worker or robot to perform the task. Then, it lifts it and transfers the part to the next assembly or operation area. Other manufacturers add seven multi-positioning or rotary units to a robot, so it can carry out multiple task at one time. Units such as these allow manufacturers to work with complex shapes with greater accuracy and repeatability. 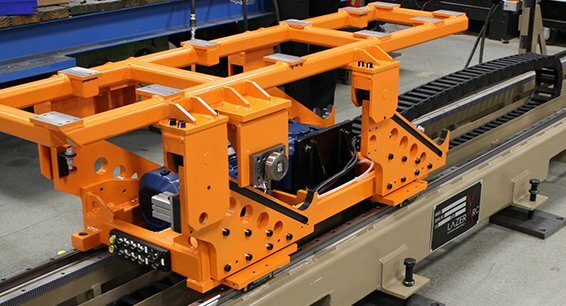 For loading, unloading, and palletizing operations most manufacturers use a combination of linear tool trays and robots to move large parts at the end of the production line. The benefit of switching these processes over to automation is to increase the speed and repeatability of production of parts thus lowering overall cost of the process. One of the biggest benefits of automation has been to areas of production that have been dangerous for personnel such as those found in foundries, die casting, painting and the handling of very large parts. These robots have been able to provide a stable and steady hand with melted metal. They reduce exposure of individuals to the harsh environmental atmosphere found in some painting operations. They also eliminate injuries such as back injuries, falling, and others that are caused by individuals trying to maneuver large and heavy parts. 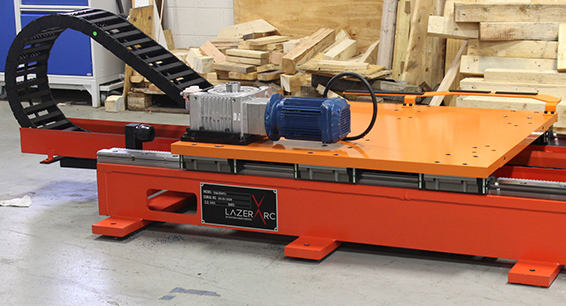 LazerArc uses a combination of zero backlash cam systems with low backlash gear heads to achieve high accuracy and repeatability on all systems. LazerArc linear robotics positioning systems are not catalogued items but customer-specified assemblies designed to fit your application. They are capable of fitting into your automated robotic systems and units can be adapted to your specific servomotor or robot brand to expand manufacturing capabilities. Every application for positioning systems is different and each customer should be treated with any specific differences in mind. Maybe a 7th axis robot or linear transfer unit would be helpful for your automation needs, see our guide to Linear Robot Transfer Units here.